How Many Units Does Your Hospital Need? As you can imagine, large hospitals in busy metropolitan areas require more suction units than small community hospitals in rural settings. However, both large and small facilities should have at least one wall-mounted unit in each patient and one portable unit for every crash cart. 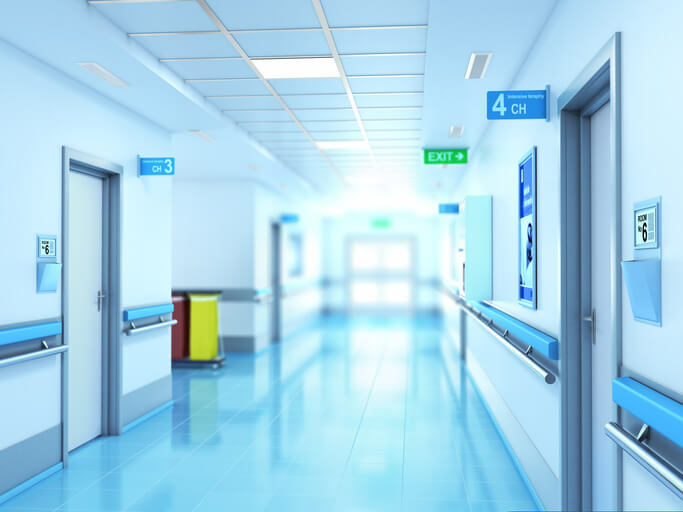 The possibility of a mass casualty event, such as a natural disaster, public health emergency, or even a terrorist attack, means that hospitals must be prepared for large-scale disasters with an influx of patients requiring a wide variety of care. 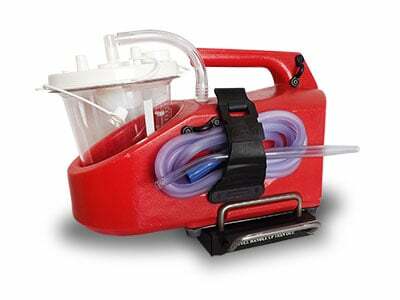 An essential tool for hospital disaster plans is the portable suction unit. Ideally, your facility will have devices that can be powered by off-the-shelf alkaline batteries. This allows the units to be stored for long periods of time without the need for recharging and helps ensure suction will be available when all power sources fail. 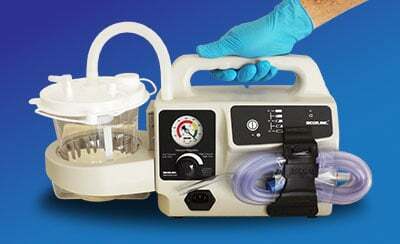 Size, portability, power, and reliability are all factors that should be considered for portable suction unit needs in the prehospital care setting. Although hospital crash carts may have larger portable suction units, EMS providers generally need units that are smaller and more portable in case they need to carry the unit to a patient. 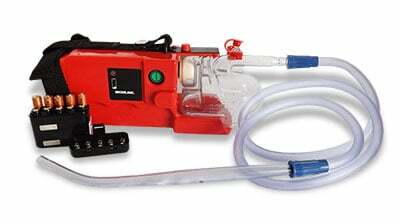 Small, lightweight, and rugged, these devices can be carried in your airway or trauma bags and still provide you with the quality, reliability, and performance you need. Depending on their needs, prehospital providers may use devices with rechargeable batteries, ones that run on alkaline batteries, or ones that run on defibrillator batteries. 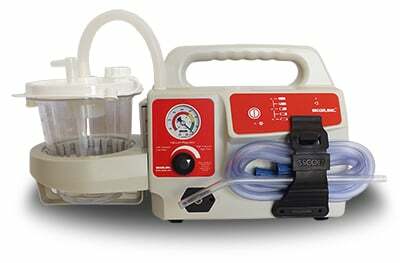 Those working in the prehospital environment need suction units that can easily adjust pressure, which is particularly important when caring for pediatric patients. Having a device with adjustable vacuum is a must; it increases your efficiency while keeping the patient’s safety a priority. In both settings, there is a great need for rigid suction catheters that are economical, efficient, and designed for even the most challenging airways. 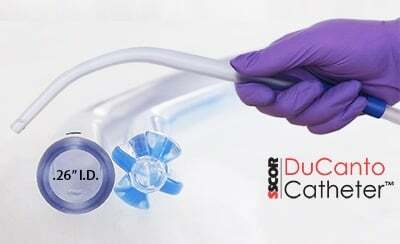 Prehospital providers should consider using a specially designed catheter with a large internal diameter developed for both routine and emergency airway management, such as the SSCOR DuCanto Catheter. 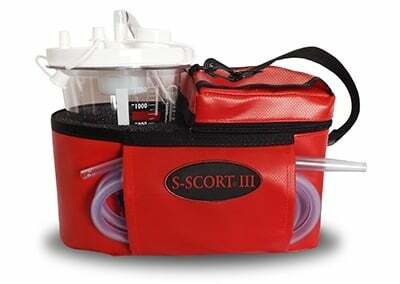 Innovative devices such as this catheter not only meet the demand for suction efficiency, but also serve multiple purposes when used in both routine and emergency situations. 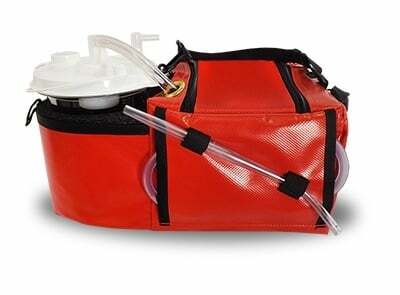 Tubing and canisters may also vary between hospital and prehospital settings, with choices in length of tubing depending on the setting needs. 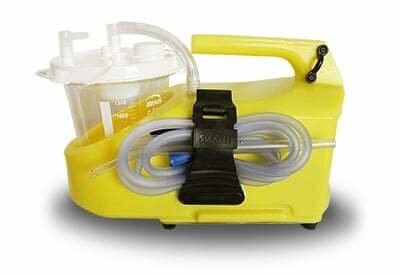 Although the specific suction needs for both hospital and prehospital providers differ, quality and performance of reliable suction units is universal. If you need assistance in choosing the best suction unit for your facility, download our free guide: Ultimate Guide to Purchasing a Portable Emergency Suction Device.